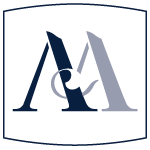 Since 1973, McAllister LLP and its predecessors have represented local, national and international clients. Our practical, common-sense approach to our clients’ legal concerns, with emphasis on service excellence, has been our hallmark for over 40 years. Lawsuits come in all shapes and sizes. Our approach to civil litigation is a blend of aggressively asserting and defending our client’s legal rights while at all times maintaining courtesy and professionalism. Our team of civil litigators is ready to assist clients in bringing their litigious issues to an end in the most effective and expedient manner possible. Our firm provides a variety of services in the field of corporate commercial law, including federal and provincial incorporations, professional body regulated incorporations, mergers and acquisitions, purchase/sale of businesses and assets, corporate reorganizations, Unanimous Shareholders Agreements, acting as registered address for corporations, preparation of Annual Corporate Returns and documents; secured loan transactions, franchises, equipment Leases, and contracts. McAllister LLP can assist you with your debtor/creditor legal matters, including placing liens against property, debt recovery, obtaining and collecting judgments, negotiating payment plans or, if necessary, representing you in Court. McAllister LLP is happy to assist you with employment and confidentiality agreements, wrongful dismissal claims, non-competition and confidentiality enforcement; Workers’ Compensation Board issues, human rights issues and termination procedures. As a challenge to a Power of Attorney when capacity issues arise with respect to an elderly parent or friend. Issues regarding Wills can be in the form of the validity or interpretation of a Will, or suspicion of undue influence being placed upon the party drafting of the Will, particularly if the capacity of that individual may be in question. With respect to capacity issues, guardianship and trusteeship disputes may arise when there is disagreement about a person’s capacity to manage their own affairs (including medical, financial and legal matters). At McAllister LLP, we are keenly aware that this type of litigation is particularly emotional for all parties, and pride ourselves on having the tact and integrity required to deal with this delicate type of litigation. We can assist you with preparation of cohabitation agreements and prenuptial agreements. We are experienced in dealing with contested divorces, including matrimonial property division, custody and access issues, and child support. We are accomplished trial lawyers, and will go to Court for our clients when necessary. Mediation is a process where parties involved in a matter negotiate some or all issues in dispute between them, in an effort to settle a matter. Arbitration is a process where parties involved in a dispute agree to turn the dispute over to an arbitrator, who acts as a Judge would in a trial. McAllister LLP has experienced counsel in both of these methods of settling legal matters. Mediation and arbitration provide for effective and more expeditious settlement of matters than that of the traditional Court system, which can be of great benefit to our clients. An injury can change your life in an instant. You may incur expenses for lost income (present and future), medical treatment and pain and suffering. Personal injury litigation can result from motor vehicle accidents (including fatalities), occupier liability claims, slip and fall injuries, product liability issues or even pedestrian accidents. An injured party only has one opportunity to settle any claim with an insurance company. Accordingly, negotiating with an insurance company following a personal injury should be done with experienced legal counsel to maximize your claim, and allow you to restore your life in the best possible way. Our experienced personal injury lawyers can represent your interests in a manner that is the most effective for you – whether that means mediating on your behalf or going to trial to seek compensation for you. Our firm provides a variety of services in the field of real estate transactions and conveyancing, including: Commercial, residential and rural purchases and sales of property; Commercial, residential and rural mortgagee financing; Purchase and Sale Agreements; Mortgages and encumbrance caveats; Restrictive covenants, subdivision applications, and commercial and residential leases. Our firm provides a variety of services in the field of estate planning and administration, and elder law; including preparation of Wills, Enduring Powers of Attorney and Personal Directives. Typically, when our clients meet with us to prepare their Last Will and Testament, they will be asked if they want a full estate planning package. In addition to a Will, this would include an Enduring Power of Attorney and a Personal Directive. An Enduring Power of Attorney is a legal document that names a person of your choice (your agent) to handle your financial, medical and legal matters in the event you are not able to do so yourself – usually due to illness. This allows the person you have designated to manage your personal matters, such as paying bills, either permanently, or until you have recovered and are able to handle these matters on your own again. A Personal Directive is a legal document wherein you name an agent to act on your behalf with respect to all medical decisions in the event you are unable to do so yourself. This document enables your agent to convey your specific wishes regarding medical treatment decisions and end of life care. In the event you are a party to potential litigation regarding an Estate or Power of Attorney, please refer to the Estate Litigation heading in this section of our website. © 2017 McAllister LLP. All Rights Reserved.